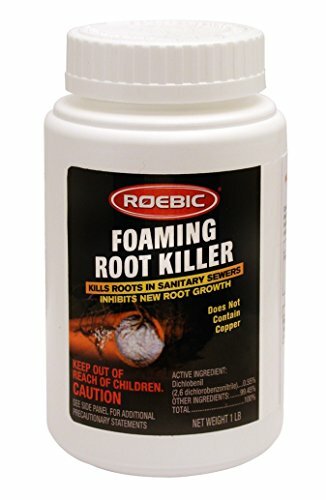 Foaming Root Killer contains Dichlobenil which kills the roots and prevents new growth. New root growths from outside the pipe joints are retarded or inhibited when they come in contact with the Dichlobenil inside the pipe. Foaming Root Killer self foams on contact with water. The foam acts as a carrying agent, putting the active ingredient in contact with the tree roots above the flow. Easy to use. This is an economical solution to a potentially, very costly problem. Not for sale out of the contiguous U.S. Banned for use in septic systems in Florida due to State Regulations. If you have any questions about this product by Roebic Laboratories, contact us by completing and submitting the form below. If you are looking for a specif part number, please include it with your message.